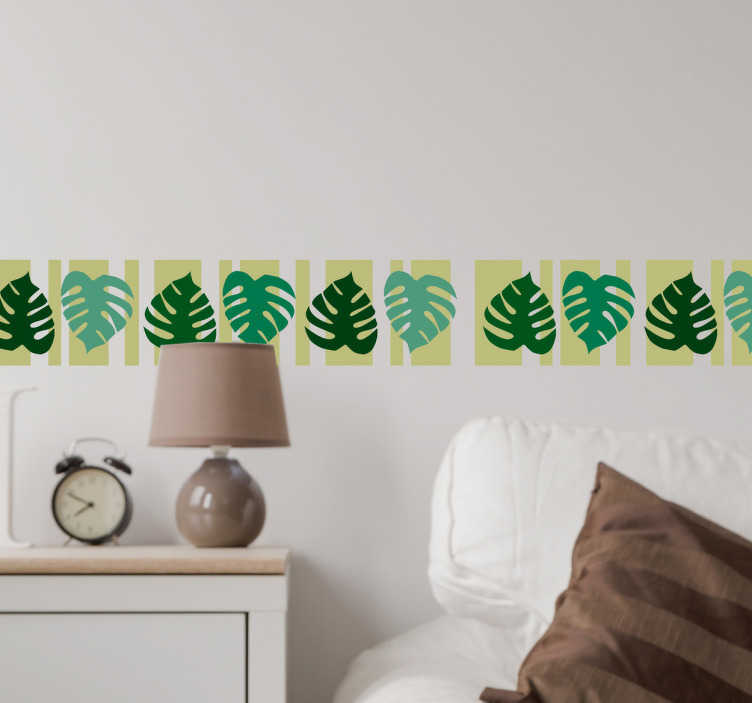 Vibrant border wall sticker showing Monstera Deliciosa leaves from our plant wall stickers collection. Wall tiles perfect for decorating the walls of your living room, dining room, work space or headboard thanks to its relaxing green tones. Available in various sizes and over 50 different colours, this nature wall sticker is easy to apply with no bubbles thanks to its high quality vinyl material.